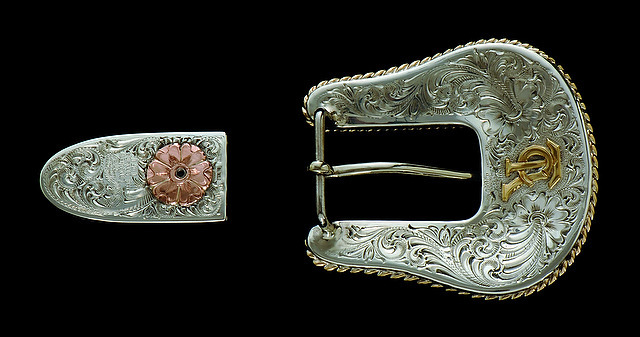 The reverse of this buckle set is a discrete world of sterling silver floral hand engraving with the TCAA hallmark in 18k yellow gold and a rose gold flower on the tip. This set was created for a belt with one inch ends. At the top of the quirt handle is an explosive 14k yellow gold flower with a 14k rose gold center. The underside finds the same flower in reverse, fabricated from sterling silver. 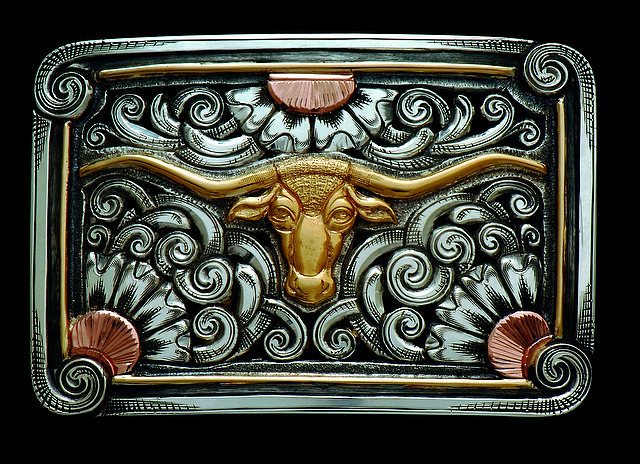 An 18k gold TCAA hallmark adorns the rawhide braided wrist strap.